Note from PaCCS: This piece has been re-published with permission from Dr Sarah Marsden. It was first published on The Conversation UK website. They say disillusionment is the gap between expectation and reality. If the conclusions of a report just published by the International Centre for the Study of Radicalisation and Political Violence are anything to go by, it’s a gap that’s causing an increasing number of Islamic State fighters to defect. Based on the accounts of 58 people who left IS between January 2014 and August 2015, the report draws attention to a range of factors associated with both joining and leaving ISIS. 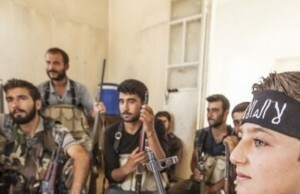 The report revealed three broad motivations for joining IS in the first place: they opposed the brutality of the Assad regime in Syria and saw a need to protect fellow Muslims; they believed in establishing an Islamic state governed by Sharia law; and they were drawn by the promise of material goods and adventure. But these motivations are also part of why they leave. The infighting among Sunni groups and the comparative neglect of the battle against Assad is an important cause of defection. There is also concern over the amount of violence directed at Sunni Muslims – including the mistreatment of hostages, civilians and fellow fighters. The corruption of local commanders displaying un-Islamic behaviour is another driver. And some of the defectors were disappointed when the promised utopia of luxury goods and cars failed to materialise. They soon realised that living conditions were much harder than they had imagined. We should be cautious about the conclusions we draw from accounts of such a small number of defectors. Potentially tens of thousands of people have travelled to Syria to fight. Those willing to speak publicly about their experience are, as the ICSR report acknowledges, unlikely to be entirely representative, are certainly not comprehensive, and may not be wholly truthful. But these findings do offer valuable insight into an issue we know little about. Since IS emerged, much time has been spent trying to work out why people from all over the world are joining. However, while increasing efforts are being directed at understanding how and why people leave militant groups, our knowledge remains, at best, incomplete. The first thing to note about this report are that the accounts come from a heterogeneous group of people, drawn from 17 countries. This is particularly relevant as there is evidence that the motivations for fighters from different regions differs dramatically. Based on an albeit small number of first-hand accounts, a recent report found that, compared with external fighters (both Arabs and Westerners), those from Syria and Iraq report being largely motivated by revenge and the desire for status. By contrast, a search for identity is important for Western fighters. Arab foreign fighters are more often driven by the thrill of conflict. An interesting feature of the report is the similarity of the drivers reported in these accounts with those who have left other militant groups, including far-right and nationalist groups. That should remind us to look beyond the current conflict when looking for responses to the problem of people travelling to fight with IS. However, many unanswered questions remain about how group members decide to disengage and how they should be encouraged to do so. In previous research on working with those involved in terrorism, I have argued that we should approach people holistically. Rather than focusing on trying to “deradicalise” someone by trying to change particular attitudes and ideas, we should try to understand their unique journey into and out of militancy. This latest report also suggests that ideology plays a complex role in the move away from violence. While all of the defectors had disengaged from combat, only a small number reappraised their commitment to jihadist ideology, which suggests “deradicalisation” is not always necessary for disengagement from violence. The diversity of motivations behind joining shows that efforts to motivate further defections need to reflect this complexity. Accounts from former combatants are a potentially powerful tool in trying to dissuade others from travelling to fight. Spelling out the reality of the conflict, and the often corrupt nature of those prosecuting it, remains important in undermining the idealised image of glorious jihad that is promoted by IS propaganda. The same need for a nuanced approach applies to reintegrating defectors when they go home. There should be a pathway out of the conflict for those who wish to take it. Those who are proved to have been involved in terrorism should face prosecution and conviction, but we should resist the temptation to impose a blanket ban on those wanting to return from Syria, as was recently suggested by the UK government. Doing so is potentially counterproductive, leaving them with few alternatives but to remain in the conflict. Following the Afghan-Soviet war, the inability of former fighters to return home was in part responsible for creating the cadre of men that pursued al-Qaeda’s global jihad. That is a lesson worth remembering as we continue to debate how best to engage with those involved in the conflict in Syria. Dr Sarah Marsden is a Lecturer in the Department of Politics, Philosophy and Religion at Lancaster University. She is accredited to the Partnership for Conflict, Crime and Security Research.